Nintendo's latest Nintendo Direct presentation was broadcast last night and a video of the event has now been uploaded to YouTube for your consumption (embedded below this article). 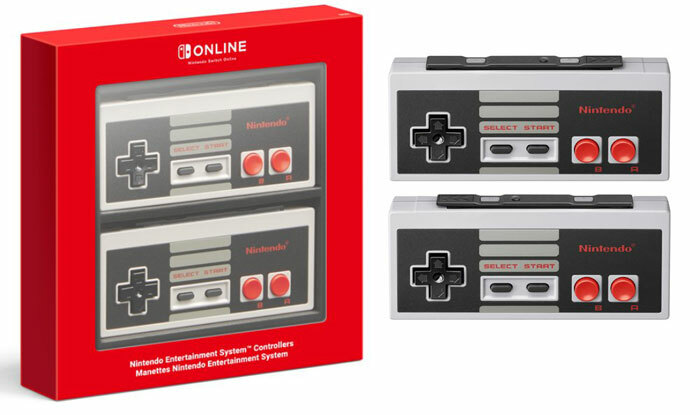 Among the highlights revealed in the September 2018 bulletin were; some new wireless NES style controllers for Switch owners, 20 classic NES games coming to Nintendo Switch Online, new console bundles, cloud saves on the way, and a raft of new games coming for the Switch including a multitude of Final Fantasy titles. These cool retro controllers for the Switch console look a lot like the originals. However they won't be available to everyone and they won't work in all games. First of all they are only compatible with Nintendo Switch Online's NES games. To get access to this online library you must pay to subscribe to the Nintendo Switch Online service which allows access to old NES games as a perk. Nintendo's online service, opening from 19th Sept, will cost £3.49 / $3.99 for one month or £17.99 / $19.99 for 12 months. Additionally, those interested in these joypads will have to fork out $59.99 for the pair of and they are available for pre-order from 18th Sept, direct from Nintendo. 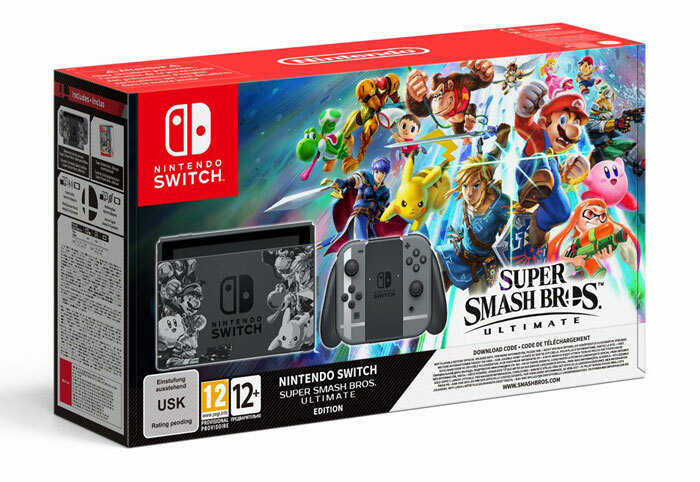 A new Super Smash Bros Ultimate branded console is in the pipeline. This bundle packs an appropriately branded dock and controllers with a download code for the game and becomes available from 2nd Nov, depending upon your region. 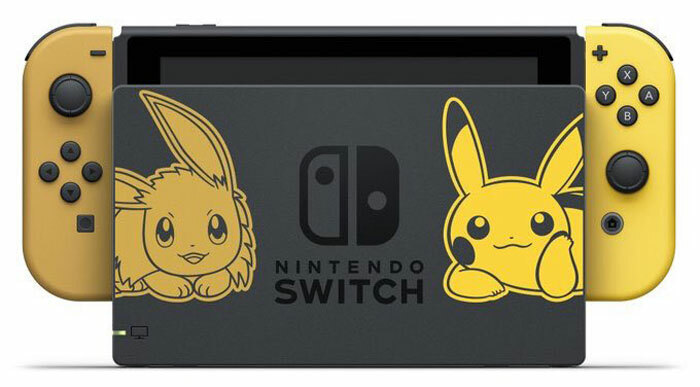 Pokemon fans might be more interested in the Pikachu and Eevee themed Nintendo Switch consoles. These include a cute customised console with a Poke Ball Plus and the Let's Go Pikachu game. In addition to the above hardware releases, quite a few big name games for the Switch were revealed. 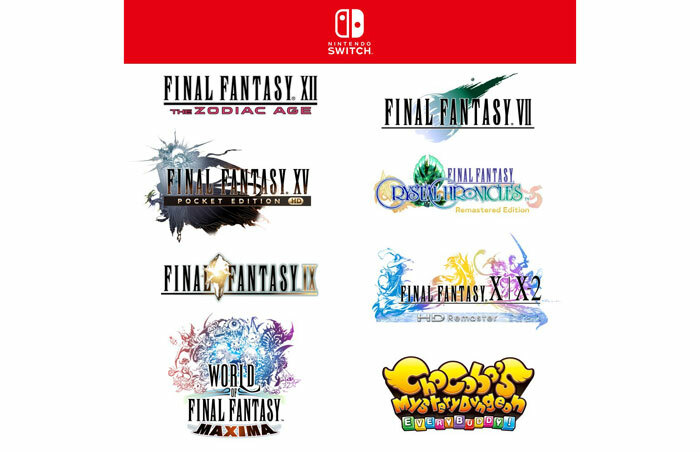 First and foremost Final Fantasy fans may well be delighted to hear that there are eight FF titles on the way. As Polygon reports, these are rather old games, but FF10.2 remastered should spruce up the visuals in at least one instance. Watch the Nintendo Direct video below for more details of the above reveals, including gameplay demonstrations and examples. $60 for a pair of control pads from the 80s? I'll pass. If you could make these work for the PC I would love one for my retro gaming binges, but not at that price!